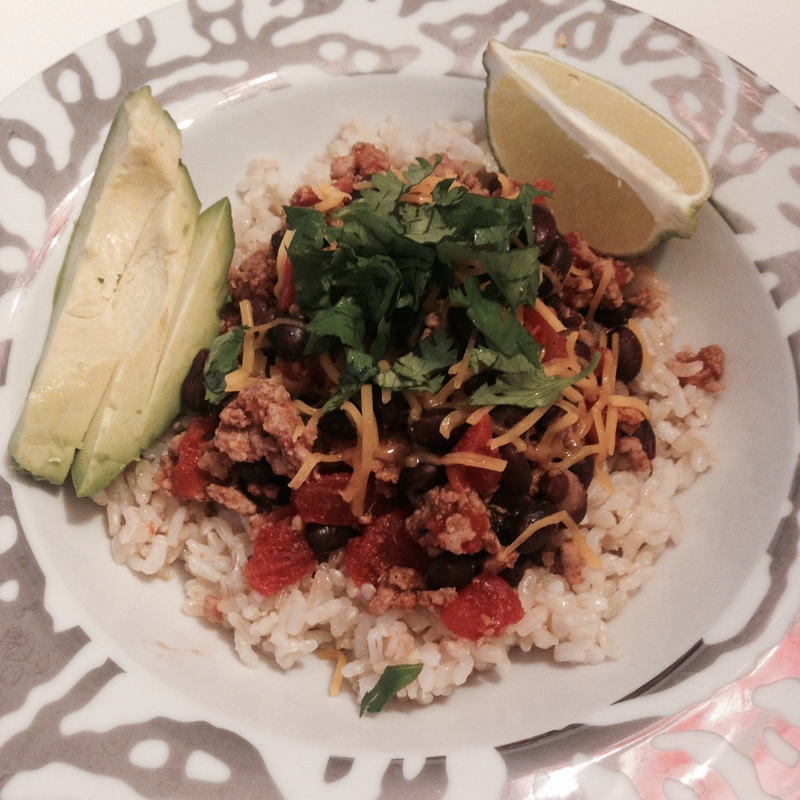 This is a super easy and healthy dinner that’s great for a weeknight meal. 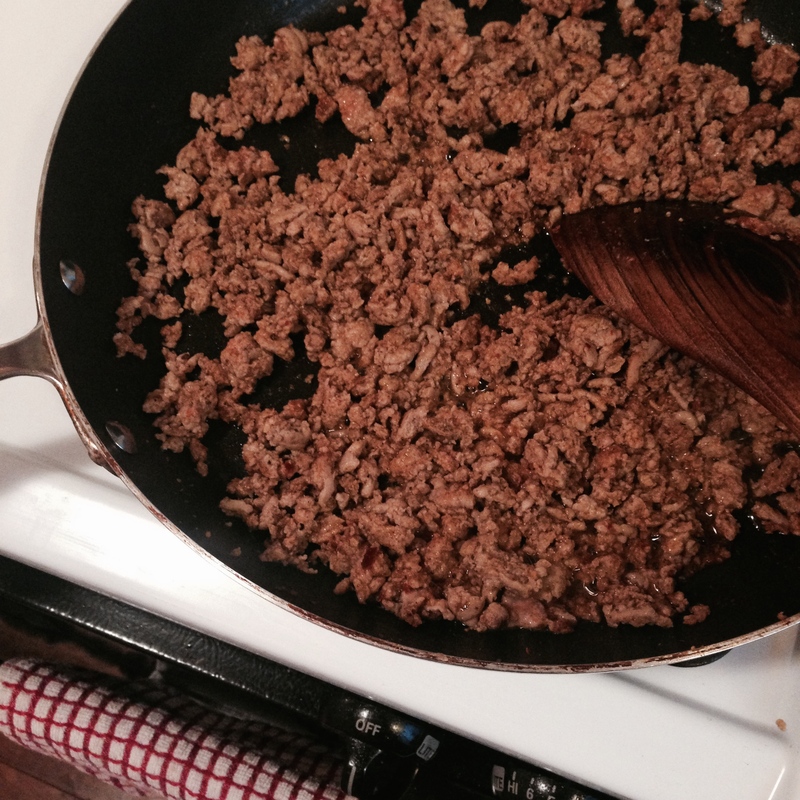 This recipe is about 4 servings, and is great as leftovers! 1. 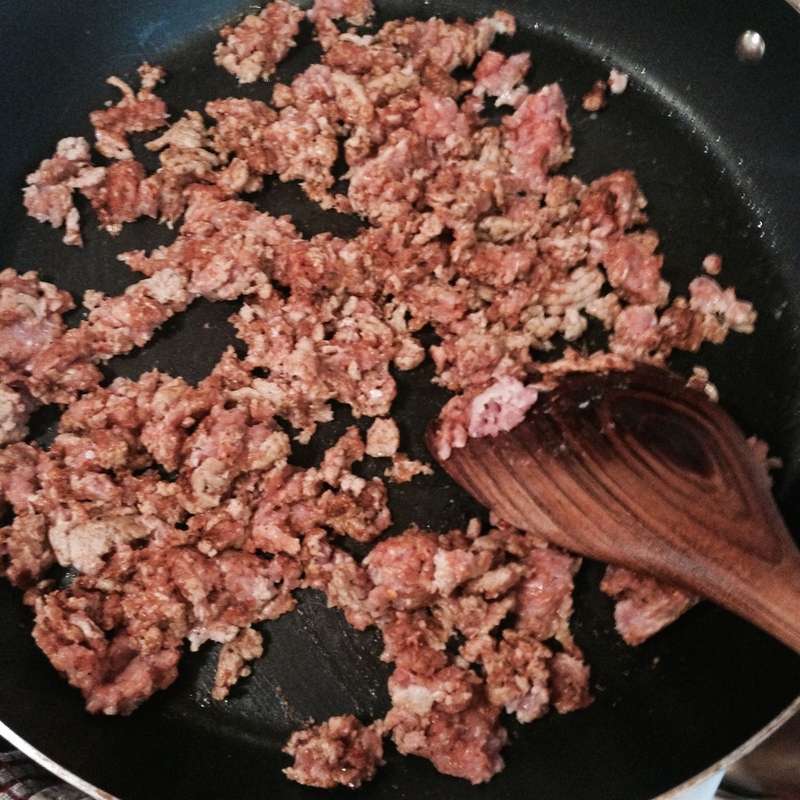 Spray a non-stick skillet with Pam spray and brown turkey meat over medium high heat. 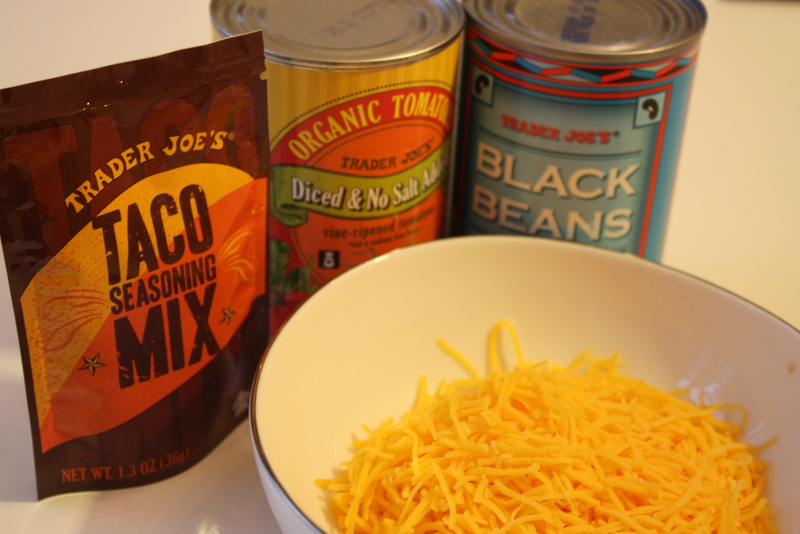 As you are browning add in taco seasoning (depending on which taco seasoning you buy, the directions on how to use it may vary). 2. Keep cooking until turkey is browned and completely cooked through. 3. 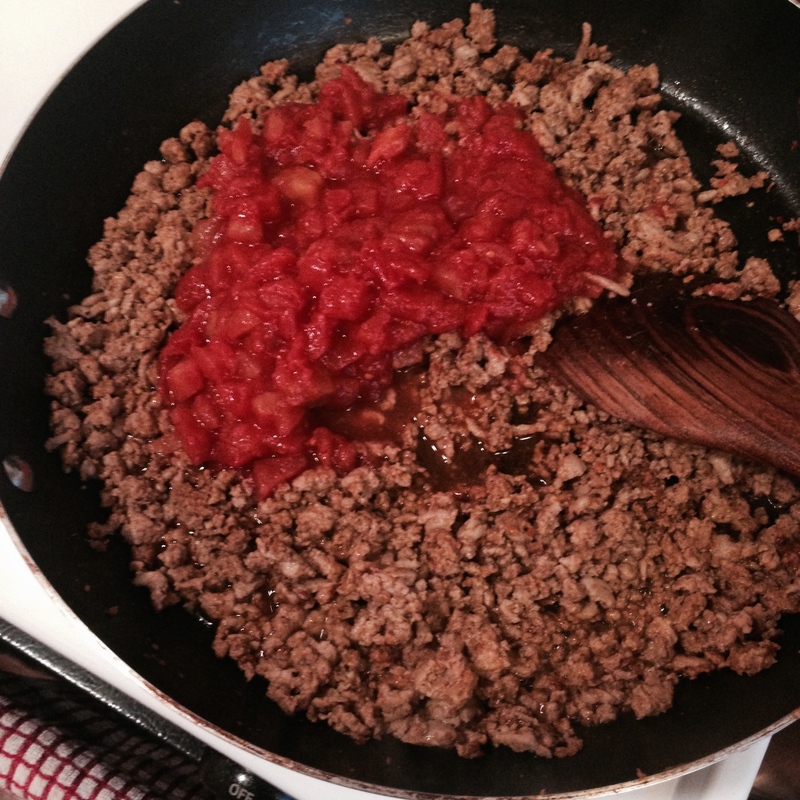 Add 14.5 oz can diced tomatoes to turkey meat. Stir to mix completely. Lower heat to low and simmer for 10 minutes. 4. 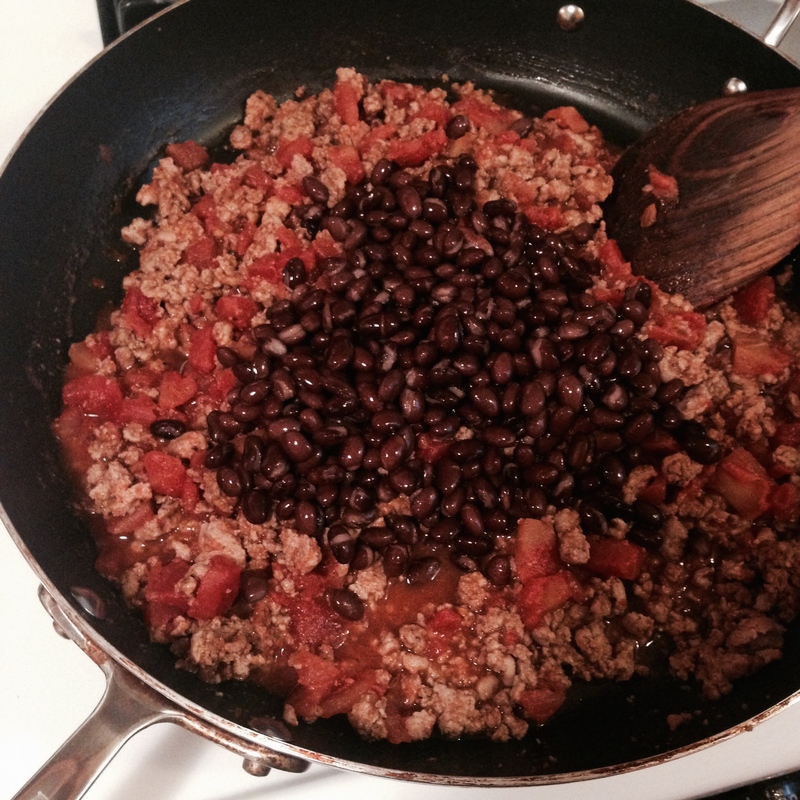 Drain and rinse a 15 oz can of black beans. Add beans to turkey, mix well, and simmer for another 10 minutes. 5. Meanwhile, cook the brown rice according to package instructions (I like to use Trader Joe’s frozen brown rice for convenience – it heats up in less than 10 minutes). 6. Serve rice in bowls. Add turkey on top of rice. 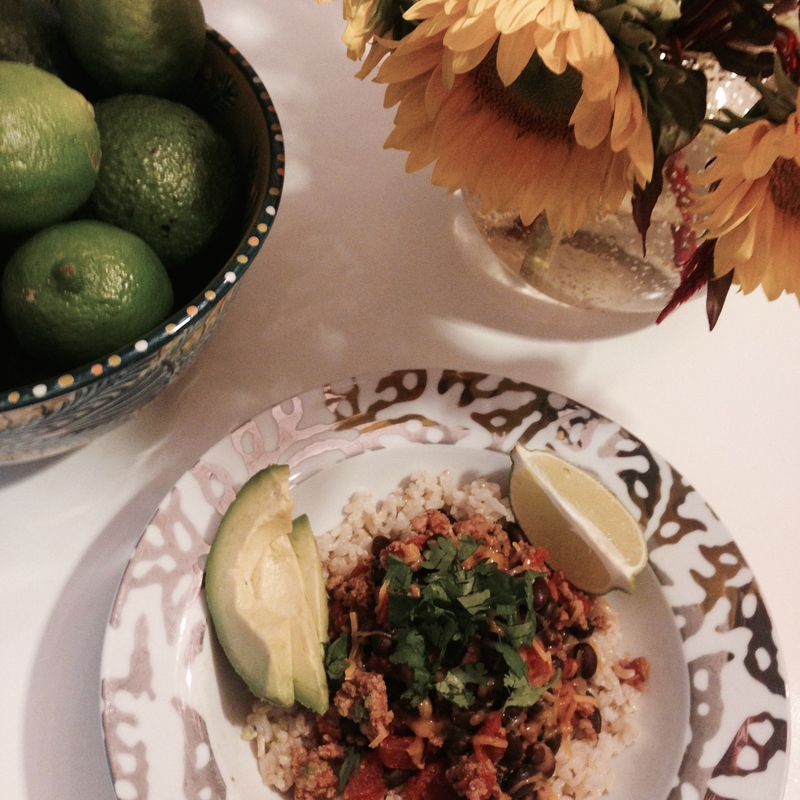 Top with cilantro and avocado. 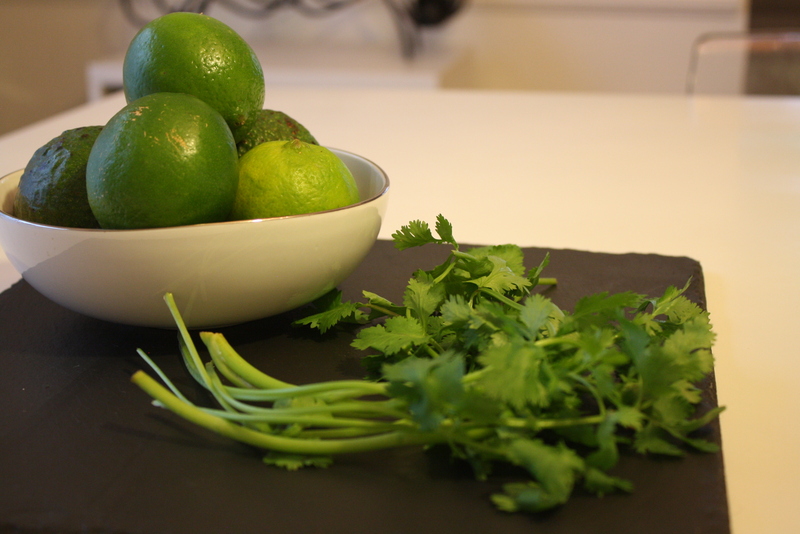 Sprinkle some cheese on top and mix in the juice of 1 -2 lime wedges for added flavor. Serve immediately.